During the Victorian era the style of doors changed from the previous Georgian and Regency periods making it necessary to create door furniture to suit these new style doors. Glass was introduced into the top door panels creating beautiful doors letting light in through the stained glass windows but at the same time narrowing the centre panel between the two windows. Door knockers like the large and small Victorian Loop Door Knocker were created to fit onto this slim door panel so that the knocker wouldn't interfere with the glass panels. The American Shakers had a good way of keeping their houses tidy- they hung everything up on hooks! Wooden peg rails along their walls held clothes, utensils, even chairs to keep the floors clear for cleaning. If you would like to keep some of your possessions tidy, the Doorknocker Company has beautiful Shaker-style wooden peg rails made of oak. If you would like something more individual, there are peg racks using upcycled wooden mill bobbins, many with their original colours still clinging to them; and for a touch of whimsy, there are gleaming brass elephant-shaped hat and coat hooks on an oaken rack. If you do not need a rack, The Doorknocker Company has a wide range of hat and coat hooks or single hooks for the backs of doors, halls, kitchens, workshops - anywhere, in fact, where you need to hang something up. Those elephant-shaped hooks can be bought singly, or you may like other shapely hooks, such as those made in cast iron in the shape of a long-billed crane, a ram with curly horns, a looped shepherd's crook, or a flower with brass tips. Elegant hat and coat hooks, in brass, chrome or iron, all cast from period originals and polished or patinated by hand, include Art Nouveau loops and curves, an Art Deco rectilinear design, or a range of hooks with decorative finials - "buns", acorns, beehives, patterned or plain ceramic tops, and ceramic pumpkins. There are also hooks with ceramic number plates, or iron hooks with numbers in an industrial style. Other special cast iron pieces include hooks with the London Underground symbol, hooks with the proud (and true) declaration, "Made in England", or hooks embellished with an embossed crown. Should you require single hooks, rather than the classic hat and coat hook, you have a wide choice. Elephants feature again, with just the curved trunk making a pleasing hook shape, or there is a detailed brass lion's head topping a single hook. A cast iron stick hook was originally intended for top hats! Cast iron choices also include a multiple hook for several items of clothing, or a triple "S" shaped hook for coats. A cast iron horshoe gives a single hook. Wrought iron from the forge gives other decorative hooks such as a heart, a fleur de lys or an ace of spades shape, all with curled hooks. Forged iron double hooks will allow you to hang pans or utensils from rails in the kitchen. Other kitchen or workshop hooks include a range of iron meat hooks or a hook which can be hammered into an exposed beam. There are various sizes of cup hooks, including a tiny "penny" hook, which can be used on a shelf edge to hang cups, keys, or other small items. Ready-made wood and iron key racks will also ensure that easily mislaid items such as keys hang safely in their place. All of these hooks can be seen on the Doorknocker Company's website, together with their dimensions, so that you can find exactly what you need, and if you fall in love with a particular design, the Company can custom-make you a hook rack using oak or vintage wood in the dimensions you desire and finished according to your requirements. Just contact the Doorknocker Company through their website or visit their charming shop in Church Stretton to discuss your ideas. Did you know how much your front door can reveal about you? You can choose a door knocker that will give a message to all of your visitors. The Door knocker Company has lots of suggestions for you, with knockers for town and country houses, old and new. If you live in a Victorian property, for example, there are knockers in brass or iron based on original period features. Scrolls, loops, rope twists, a sunflower or a rose, or even a Victorian Gothic knocker (perhaps for a former rectory?) will all add a finishing touch to your front door. If your house is from an earlier period, or if you happen to be a doctor, there is an impressive Regency style doctor's knocker in cast iron, brass or nickel, or a Regency style Egyptian serpent or American eagle, both in cast iron. If you love nature or live in the country, you have a wide selection of door knockers. Choose your favourite from fat bees in brass or chrome, bats roosting upside down, wide-awake owls, dragonflies with outspread wings, or traditional foxes. There is a very imposing lion's head knocker for those who live in a castle (as all Englishmen's homes are said to be) and for your chateau, or for wine lovers, a bunch of grapes in cast iron, or a brass head of Dionysus. Those with political aspirations might choose a replica of the famous knocker on the door of number 10 - a well-modelled lion's head in cast iron or brass. If you simply cannot decide, then you can choose the earliest form of knocker - a simple ring in brass, chrome or wrought iron, which will suit both old and modern properties. All of these door knockers, and the door furniture, such as door knobs and letter boxes to go with them, can be found and ordered from, the Door knocker Company's website, or you can try them out in the welcoming shop in Church Stretton. Here the Cast Iron Industrial Style numbered Hooks have been used for tying church bell ropes out of the way in the ringing chamber. Handily numbered 1-6 there are just enough for a 6 bell ringing chamber. Take a look at the way the cast iron railway brackets have been used to make a wardrobe in a bedroom with very little space for furniture. The brackets have been painted with a victorian white paint. The railway brackets are accompanied by cast iron honeycomb brackets to hold up the shelf above. Here is a picture of the wrought iron rose arch available at The Door Knocker Company shop at Heather Brae on the A49 near Church Stretton (on a bit of a cloudy day). Available at £75.00 these rose arches are hand made in Oxfordshire by a small firm speciallising in garden obelisks and iron garden furniture. We have back in stock our lovely beehive hooks in solid brass. These hooks have been cast from a pattern made from a reclaimed Regency hook. The term beehive doesn't really describe the real meaning of the shape of the reeded end. The shape was designed to be like a bee's body, long and striped and has become known as beehive. These lovely brass hooks come in 2 sizes and are ideal for the bedroom or bathroom, kitchen or even the tack room, as the shape lends itself to having the leathers hung over it. The solid brass Lions Head Door Knocker has been used perfectly on this Georgian doorway in Stratford-upon-Avon to recreate the original look of the period. This classic renovation shows how the door furniture can add the finishing touches to restoration work. The door knocker will age over time, again re-creating the original look. Thanks to Absolute Joinery for photos of a project in progress using plain brass drawer pulls from our web site. 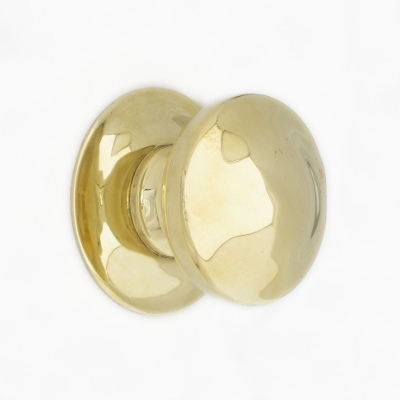 The plain brass drawer pulls are a traditional drawer pull most commonly used in kitchens but originally used on office furniture. It was brought to our attention this week that there is nothing on the item descriptions on our web site to indicate that the bulk of the brass-ware that we have for sale requires cleaning. As a shop that mainly sells British made period brass-ware, we think that it might be worth mentioning that as the door knockers, letter plates, hooks and finger plates etc, are reproductions of original pieces, that they are left unlacquered, in order to faithfully copy the original, giving the brass-ware the same characteristics as the originals. The shine dulls nicely over time but can be brought back to a shine by polishing if required. A blog we wrote on 25th August 2012 goes into detail regarding the problems and benefits of lacquering brass, but the biggest advantage of leaving the brass unlacqered, particularly on the front door, is that over time, the furniture can still be polished and brought back to its original finish. The lacquer will get damaged over time and leave the door furniture very ugly and un-cleanable. This weeks special offers include some lovely cast iron shelf brackets, cast iron Victorian drawer pull and brass and cast iron door knockers. Our already low prices have been pushed down a little more to give you the opportunity to grab these offers during the whole of this week. Check out our Dragonfly Door Knocker featured in the March issue of Period Living Magazine. This is just one of the novelty door knockers available from The Door Knocker Company along with our period designs from the Regency, Georgian and Victorian eras. We are featuring regularly changing special offers covering all items on our web site. These items will change weekly to give all of our products a chance to be reduced for a short period of time throughout the year. It would be well worth keeping an eye on the special offers section of the site as the items will be broad ranging. This week we are featuring some wrought iron latches and hooks as well as brass and cast iron Regency door knockers. What are Key Escutcheons for? Key Escutcheons are used for two purposes. Primarily they are used to protect the key hole from wear and tear in order to avoid making the key hole larger and tatty. The other purpose of a key escutcheon is as a draught excluder, in which case the key escutcheon is covered. The cover is usually decorative as shown in the picture. So, together with keeping out a draught, they also add decoration to the door. The main problem with draughts through the key hole on internal doors is when the fire is lit. The fire pulls air from any gaps it can, so the weak spots tend to be key holes, under doors and through floor boards. The addition of a key escutcheon to the door helps to cut down on these draughts and decorates the door at the same time. All shelf brackets are as strong as the fixings used to fasten them to the wall, though the cast iron is alot stronger than the brass. As many of these brackets were originally used to support a toilet water cistern or a sink then this gives an idea of the weight that these decorative brackets will hold. Period Style Door Knockers for Beautiful Homes from Rachel on Vimeo. We have a great range of wrought ironware at The Door Knocker Company. The majority is forge blackened and finished with a coating of bees-wax. Our T Hinges and Norfolk and Suffolk latches are great for ledge and brace doors and our hooks and handles can be used anywhere in the house. The handles and cupboard knobs give a great look to kitchens. A rule of thumb when choosing T hinges is to have the hinge reaching around 2/3 of the way accross the door. However, when doors are lighter weight the reach need not be so far. We have a great new range of door knockers in stock available in brass and cast iron. The picture shows one of the designs which is a Victorian design, heavily decorated with a central sunflower. The other period styles include the Greek God Hermes, the all-seeing Eagle, a Regency Serpent design and the Doctor's Door Knocker in cast iron. How do I keep my brass looking clean? Unfortunately, without lacquering brass, it is not possible to keep it bright and shiny for long periods of time as the air reacts with the brass, tarnishing the surface, making it dull and eventually, over a very long period of time turning it black. However, there are good brass cleaning products on the market like our Hotspot metal polish. To keep that shiny look for longer after cleaning your brass door knocker, letter plate or door knobs, for example, you can clean the brass in hot, soapy water to remove the cleaner and greasy finger prints. Immediately after washing, rinse the brass in clean hot water and dry with a clean cloth, avoiding touching the brass with your fingers. If the brass-ware is still on the door then wash and rinse using a clean cloth and dry with a clean dry cloth. We have many brass items on our web-site, most of which are faithful copies of the original. In order to maintain the authenticity of these items they are reproduced in the exact way that they would have been when made the first time around. Therefore, these brass castings are left unlacquered, meaning, they don't have a varnish coating on them which is designed to protect the brass from the natural oxidising process that occurs as a reaction with the air. The lacquering of an item means that you don't need to polish the brass as the lacquer maintains the shiny bright appearance. However, over time the lacquer will become scratched and in those areas the oxidising process begins and you now have, for example, a door knocker or letter box cover in the middle of your front door, that is looking decidedly shabby and you are actually unable to polish it as the majority of the lacquer is still in place. By leaving the brass products unlaquered you can choose to let the door knocker age naturally, still retaining an authentic look, or you can polish the brass to maintain a shiny bright finish. The description of all our brass products states when lacquer has been used so that you can make an informed decision. Many of our products, brass and cast iron, are made in Britain and indeed, are made locally to us, here in the Midlands. These British made products are the main core of our business and we seek to promote our British foundries. The products covered are; door knockers, centre door pulls, letter box covers, key escutcheons, drawer pulls, finger plates, shelf brackets, hooks, rim locks, curtain pole holders and curtain tie backs, stone products and wood accessories for the home and garden. What is the Difference Between Rim and Mortise Locks? You will often see door knobs that are described as "suitable for rim and mortise locks and latches" and you may wonder what is the difference. Well, firstly, there is a difference between rim and mortise locks and latches. Rim locks and latches are surface mounted, they are the old fashioned type of lock you see on a door, often with a key and sometimes refered to as a box lock. Because the lock or latch is on the surface of the door, when you choose your door knobs you want to make sure that you can remove one of the back plates from one side, as this large round plate will not sit on top of the lock, but it is required on the opposite side of the door. Mortise locks and latches are inside the door leaving both sides of the door bare, meaning that you need both back plates on the door knobs to cover the area where the spindle goes through the door. Therefore, if the door knobs are described as "suitable for rim and mortise locks and latches" then they have removable back plates so they can be used for either type of lock or latch. Take a look at our new garden tool holders, ideal for hanging up your fork, spade, rake or shears. These simple brackets can be fastened to the wall of the shed, or several can be made up into a rack by attaching them to one of our oak boards in our hook board section. Most of our door knockers are fixed to the door in one of two ways that makes them impossible to steal. The most common way if for 2 or 3 bolts to be screwed into the back of the door knocker and striking plate and fastened with nuts on the inside of the door. This requires the door to be drilled before hand for the bolts to go through. The door knocker is now secured to the door with no visible fixings from outside. The other way of fastening the door knockers to the door is to screw them on, which is a much more convenient method of attaching your door knocker. However, this can be a problem if your door is on the street as anyone with a desire to, could simply unscrew it. The owl door knocker is screwed to the door in such a way that either a socket set or a screw driver with an off set attachment is required, so that the screw can be driven in from an angle. The body of the owl door knocker does not lift up high enough to get a straight screw driver onto the screw, thus making the door knocker very hard to steal but also enabling the door knocker to be fitted without drilling through the door.